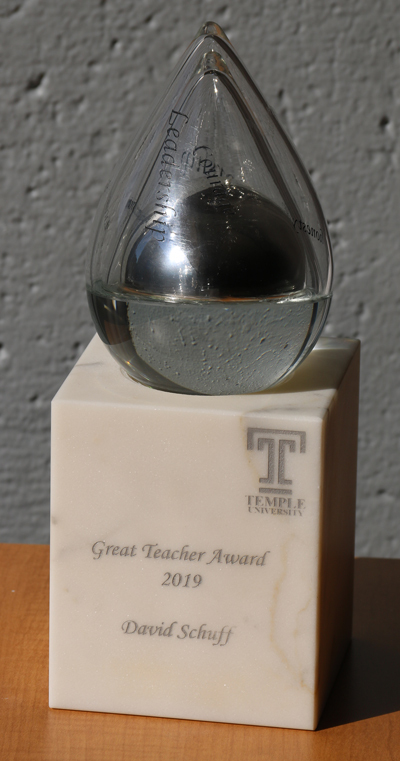 Professor David Schuff, chair of the MIS department received Temple’s most prestigious teaching award, the Temple University Great Teacher Award at a special university convocation on March 28, 2019. Min-Seok Pang doesn’t follow sports. “I’m a news junkie, and politics is like my sport,” said the Associate Professor of Management Information Systems at the Fox Business School. So back in 2013, when late-night TV hosts were mocking the botched rollout of HealthCare.gov, the website integral to the Affordable Care Act, Pang stayed on top of every headline. From this passion for politics, a research project was born. 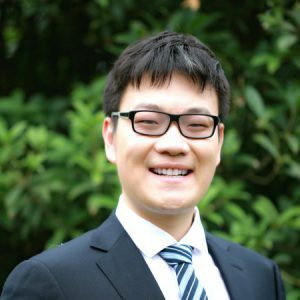 Pang’s resulting paper, “Politics and Information Technology Investments in the U.S. Federal Government in 2003–2016,” was published in 2017 and recognized as a best publication of 2017 by the Association for Information Systems, as well as the best published paper of 2017 in the journal where it appeared, Information Systems Research. Pang has an explanation for the paper’s warm reception: “In the business school, our focus is usually on just that: business. We don’t really look at government,” he said. But with technology becoming increasingly vital to implementing new policies, it was time to expand the boundaries of his discipline. In his research, he analyzed 14 years of data on IT investment at the federal level. His conclusions could change the way money is spent on technology: When the government is divided, with one party in the White House while the other controls Congress, 8.3% less money is invested in new IT systems, with more spent maintaining legacy systems. This reluctance to innovate can be countered by increased funding for new IT development when conditions are favorable. A unified government is one such condition. If an agency head has been approved by Congress that also tilts IT budgets toward new initiatives. Pang also advocates for the creation of a cabinet-level Chief Information Officer (CIO), who would have authority to direct funding toward IT development. In the two years of unified government since Pang’s research ended, the Modernization of Government Technology (MGT) Act passed. The Act provides significant funding for investments in new technology and updating obsolete systems. “This is a drop in the bucket of what’s needed, but it’s a good start,” said Pang. Pang’s next research project will explore how government can attract younger IT talent away from Silicon Valley. If his recommendation for a cabinet-level CIO is realized, this next generation of developers will be essential to avoid the blunders of the now-infamous Healthcare.gov rollout and implement the policy initiatives of the future. Associate Professor Anthony Vance said the most common cybersecurity mistake people make is password reuse. To minimize the threat of a data breach, every online account password must be unique. All that memorization? Impossible. These online services require users to memorize a single strong password – Vance recommends a random string of words – and the software will manage the rest. “That reduces the number of passwords from dozens to just one, and that’s feasible,” he said. 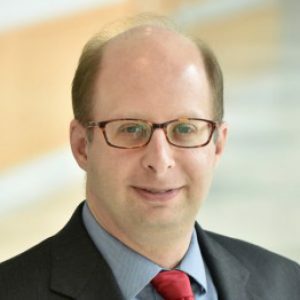 Vance is one of two new professors on the faculty of the Management Information Systems Department of Temple University’s Fox School of Business. He will teach a cybersecurity elective for undergraduates while juggling research topics including how to make strong passwords easier for the brain to remember. He also serves as Director of Fox’s Center for Cybersecurity. 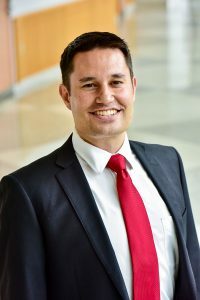 Assistant Professor Aleksi Aaltonen, whose research focuses on data-based innovations and organizing using computational methods, is also new to Fox. He’s also a successful entrepreneur – He co-founded Moves, an activity tracking app that was purchased by Facebook in 2014. 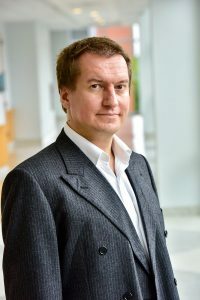 Aaltonen, whose Ph.D. is from the London School of Economics and Political Science, said technology is changing quickly and it’s critical that users evolve and change with it. He cited Wikipedia as an example. Aaltonen will teach a project-based MIS 4596 course requiring students to develop a tech solution to a problem or an innovative application. It’s the final course for MIS undergraduates, allowing them to integrate all that they’ve learned. Aaltonen’s real world entrepreneurship means students will benefit from his experiences. He also discourages being a new technology evangelist. 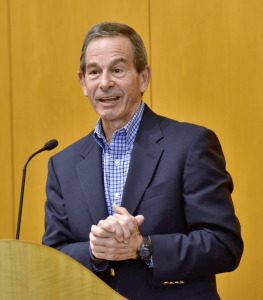 During his years overseeing information technology organizations for several large corporations, Bruce Fadem was always surprised that many new employees, even those with newly awarded degrees, were not well prepared for real-world challenges. “Their knowledge was three to five years behind the times,” Fadem said. 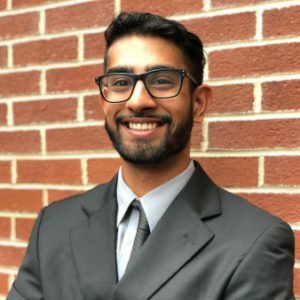 Temple’s Department of Management Information Systems is an exception, in part thanks to Fadem and his fellow members of the Fox IT Advisory Board. One of the board’s primary goals since coming together in 2006: helping MIS keep its curriculum contemporary. Fadem, who retired as Wyeth CIO after a 20-year career, reluctantly agreed to found the advisory board, which is today composed of senior IT executives from well-known firms such as AmerisourceBergen, QVC, Pfizer, and NBCUniversal. Fadem explained he’d served on similar councils at other universities—where they used the boards to rubber stamp projects they’d already launched. Fox’s IT Advisory Board worked differently from the start. Besides keeping curriculum current, board members and their firms engage in symposiums, student competitions, career fairs; provide insights on projects; conduct guest lectures and mentor students, as well fund scholarships and other activities. 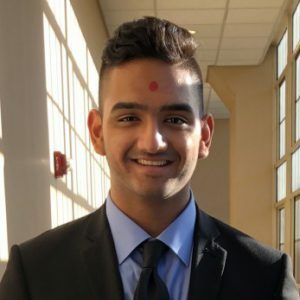 The 6th Annual NBCUniversal Temple University Analytics Challenge attracted more than 135 entries across six colleges, with the first-place finishers coming from Fox School of Business, Klein College of Media and Communications and the Tyler School of Art. MIS students Jake Green and Rohit Bobby partnered with Klein’s Sergio Aguilar to win the analysis category. Tyler School of Art student Xi (Cynthia) Cheng was the graphics category winner. The first-place finishers took home $2,500. There were also cash prizes for the second and third place winners and two honorable mentions in each category. Teams could choose from three data sets to answer the following questions: The first, from competition sponsor NBCUniversal, asked how media companies align with esports; the second, from global biopharmaceutical company Alexion, sought to learn who the winners and losers were in healthcare funding and payments; the third, from pharmaceutical distributor AmerisourceBergen, questioned why pharmacies buy drugs from non-primary vendors. Aidan Doyle, Alexion’s Director of Data and Analytic Platforms and a first-time competition judge, said he was impressed by the students and the challenges they tackled. Christian Hettinger ’18 and Danielle Buerger ’17 work very different jobs on opposite coasts – but both came to Temple planning on studying other majors before finding Management Information Systems. Now they bring the skills they learned in the program to their work every day. 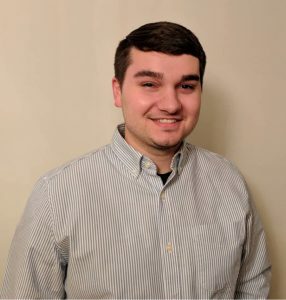 Hettinger, an IT Business Analyst and Data Visualization Specialist at Valley Forge-based AmerisourceBergen, named some crucial courses: He picked up requirements gathering and project planning skills in Digital Solutions Studio; Data Science allowed him to “mess around with visualization tools without the pressures of a job;” Data Analytics introduced database models. Hettinger enjoyed math and science but found computer programming limiting. He chose MIS as a sophomore. Hettinger interned at AmerisourceBergen twice as a student and joined the pharmaceutical company full-time after graduation. He’s met other MIS graduates there and hopes to recruit more. 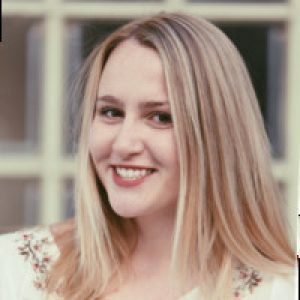 Buerger is part of NBCUniversal’s Media Technology Program, a two-year program giving associates technical and managerial experience by working three jobs in different locations; in her case New York, New Jersey and California, where she now lives. 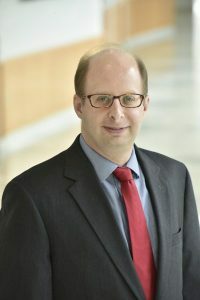 When the program ends in July, Buerger hopes to join the TV Entertainment division to further explore how technology affects the creation and distribution of TV and online content. “Technology has played a large role in transforming the media landscape in recent years, providing a lot of opportunity for innovation in the future of entertainment,” she said. 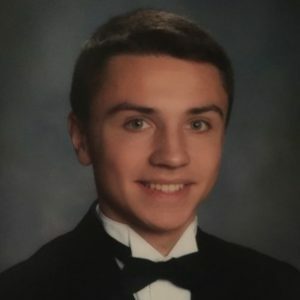 Buerger decided to combine technology and business as a junior. She interned at NBCUniversal in News Technology while at Temple. 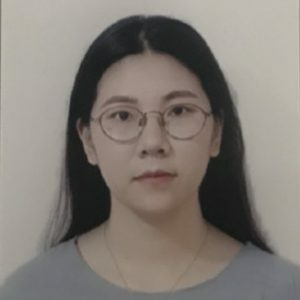 Since graduation, she’s held roles in Enterprise Applications, TV Entertainment Technology, and Brand Development, working as a project manager, business analyst, data analyst and application product owner. 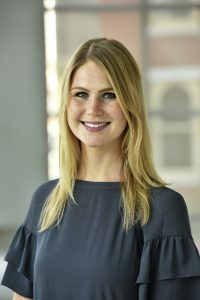 “A great part of being in a rotational program is having the ability to work on multiple projects with different roles at the same time, allowing me to expand both my technical and leadership skills concurrently,” she said. Buerger has met other MIS graduates at NBCUniversal and, like Hettinger, she wants to recruit more. She believes MIS sets them up for success. Shahla Raei, MS ’17 IT Auditing and Cyber-Security, was back on Temple’s campus recently, screening internship candidates for Wells Fargo during the IT Career Fair. Raei, who’d joined the multinational financial services company as a Senior IT Auditor in June, had already impressed her bosses. 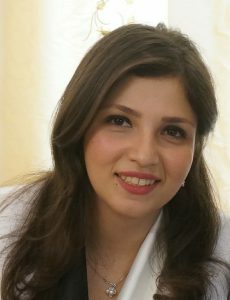 A native of Iran, Raei earned her Bachelor of Software Engineering degree from South Tehran Branch University in 2011 and her Master’s in Science in IT Management from Payam Nour University in 2014. 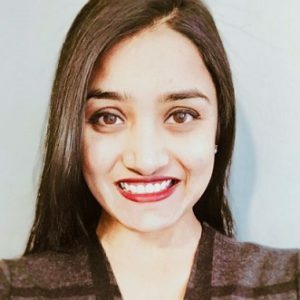 She moved to the U.S. in the Fall of 2014 to take a job at Philadelphia’s Fried Brothers Inc. as a Data Analyst helping optimize product sales and digital assets. Looking to learn more about auditing, Raei decided to earn a second Master’s Degree at Fox School of Business. She quickly gained practical skills, like how to use Audit Command Language (ACL) and the specific steps of the audit process. Raei also appreciated the opportunity to hone her people skills while at Fox. During her first year, she got a free membership to ISACA, the international professional association focused on IT governance. After doing an IT Audit Internship with CHUBB, Raei met her current boss when he represented Wells Fargo at the IT Career Fair. He encouraged her to apply to the company. Wells Fargo has more than 1,000 auditors and Raei works with the Enterprise Technology Group. Her day to day work includes doing risk assessments and conducting audits from planning to field work to recording. 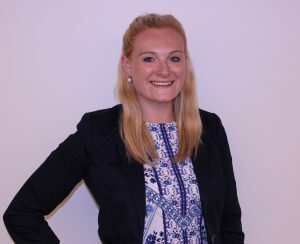 Her background in Cyber-Security has been a huge benefit to her and her employer; she’s been able to do more security audits, which she finds more challenging. 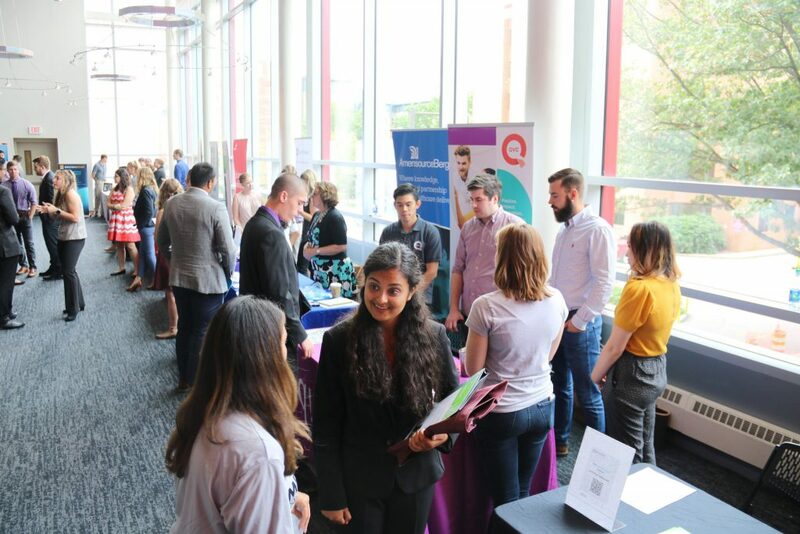 Among the businesses seeking to hire Management Information Systems students for internships and jobs were AmerisourceBergen, Dow Chemical, Lincoln Financial, NBCUniversal, Scholastic and QVC. The fair has grown so much that it was moved to the Howard Gittis Student Center, said Laurel Miller, Director of the Institute for Business and Information Technology. Management Information Systems faculty and staff encourage all students to attend the Career Fair, even freshmen. It’s a critical part of their professional development, she said. This was junior Michelle Purnama’s first Information Technology Career Fair. 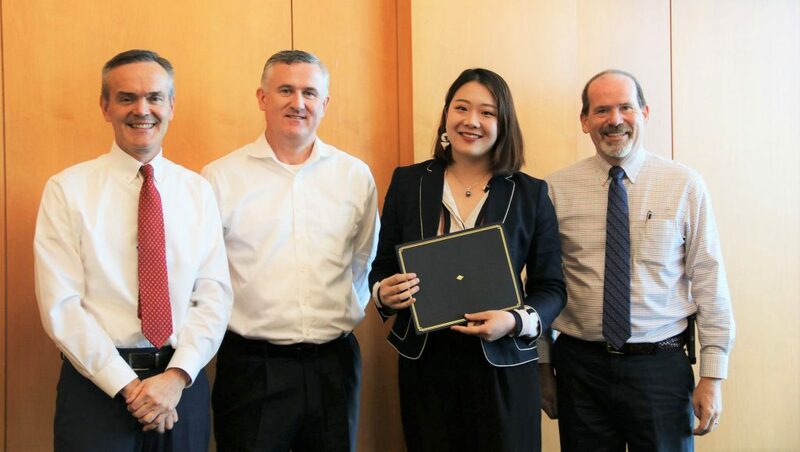 Purnama, who changed her major to MIS last year, spoke in depth to representatives from 10 companies, including the CIO of Alexion Pharmaceuticals, a company that specializes in medicines for rare diseases. She was surprised someone at his level was at a recruitment event. Purnama told the CIO she wanted to have a job that would have an impact. 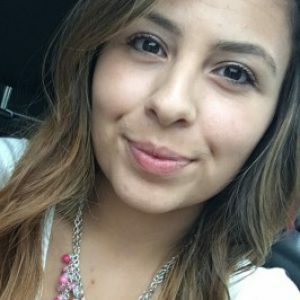 She now has a summer internship offer at Alexion’s Connecticut headquarters. 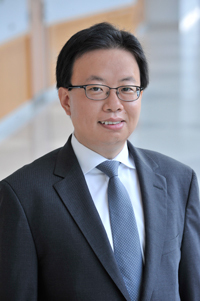 Professor Min-Seok Pang was promoted to Associate Professor with Tenure. 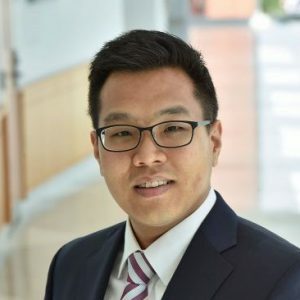 Dr. Pang joined the department in in 2014 and has since built an outstanding record of scholarship around the role of information technology in government. 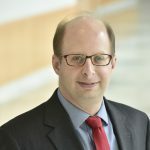 He also is a highly-rated instructor in the BBA in MIS, the MBA program, and the Ph.D. program, teaching courses in the strategic management of information technology and data science. Emily Repshas has been promoted to Assistant Director of MIS. Repshas joined the MIS Department in 2016. 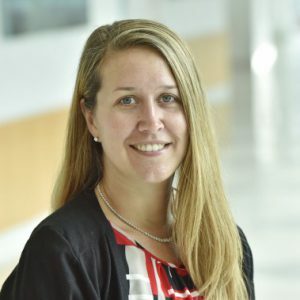 Her contributions to the department include managing the MIS PRO program, the PRO store, and expanding the department’s social media presence. In her new role, she will be adding marketing and communications to her responsibilities, including our undergraduate and master’s programs. Professor Amy Lavin has been appointed a Dean’s Teaching Fellow for 2018. Professor Lavin has been an innovator in the classroom. She is the Academic Director of the MS in Digital Innovation in Marketing (MS-DIM). In 2017, Professor Lavin was named the MS-DIM Faculty Member of the Program, an award given based on student feedback. 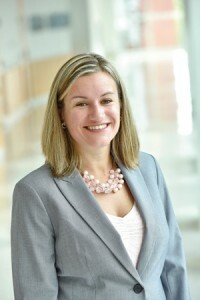 She has presented at conferences such as the Americas Conference on Information Systems and the Higher Education Social Media Strategies Summit. Professor David Schuff was named the Fox School of Business Executive Doctorate in Business Administration 2018 Faculty of the Year. The award recognizes his “significant contribution to the academic and intellectual growth of Executive DBA students,” according to Academic Director and Professor of Marketing and Supply Chain Management Susan Mudambi. As the academic year draws to a close, we have much to celebrate. I am proud of our excellent students and their big win at this year’s AIS Student Chapter Leadership Conference. A record five teams won for their entries in analytics, blockchain, and artificial intelligence. Also, congratulations to Professor Jeremy Shafer, who won AIS Chapter Adviser of the Year. Our signature event with the Institute for Business and Information Technology (IBIT), the Eighteenth Annual Fox IT Awards, was a great success. The honorees were technology innovators and leaders John Turner of 3M, James Rhee of Ashley Stewart, and Dave Kotch of FMC Corporation. IBIT also hosted the third annual National Cyber Analyst Challenge, with 10 teams competing for $25,000 in prizes. I am also proud of our graduates. Read about recent grads Emily Schucker and Frank Tkachenko, who are using what they’ve learned while in the MIS program to start their careers. We also catch up with two experienced alumni – Michael Luckenbill and Joshua Sandoe – as they find themselves well prepared to take on new career challenges. With regard to research, read about the launch of our MIS Visiting Scholars Series, which brings leading academics to Temple for a week-long residency. 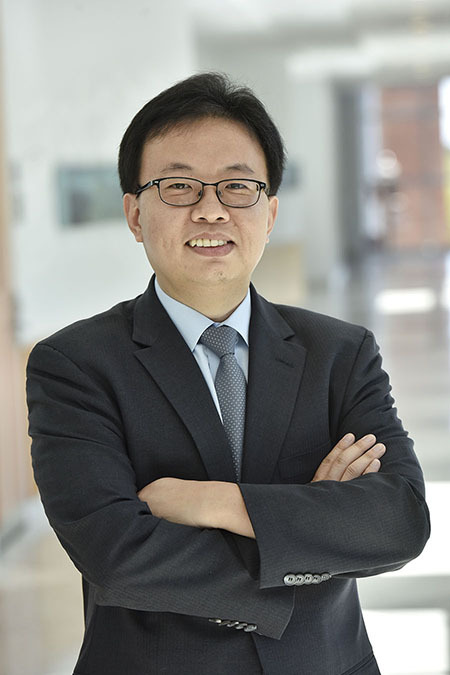 Also learn how Professor Jing Gong studies the impact of information technology on consumer behavior and finds the unexpected.